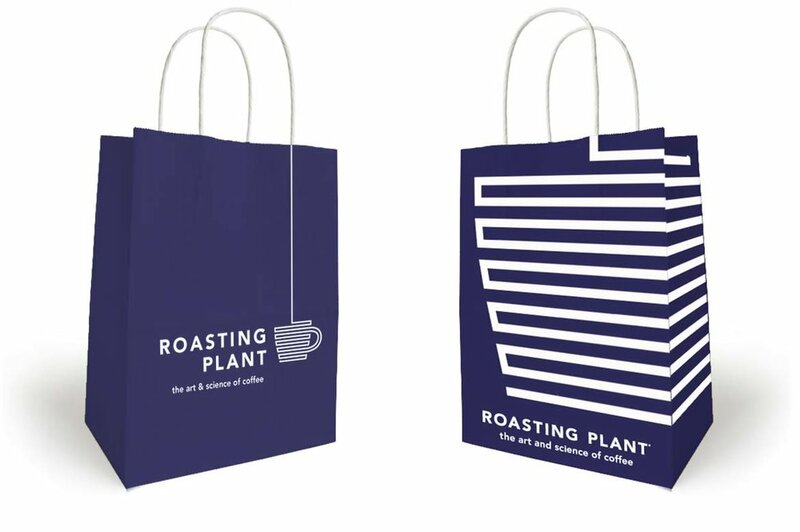 I developed the brand identity and Communications Master Plan for Roasting Plant, a coffee company and coffeehouse chain with locations in New York City and Detroit. I developed an iconic logo design that reflects the unique process of the patented Roasting Plant JavaBot, and applied the logo to communications elements including: business card, letterhead and envelope, menus, package design, apparel, merchandise, signage and wayfinding, and storytelling graphics. The Master Plan establishes the Roasting Plant brand locally, nationally, and internationally.